Transcendental meditation is a technique that you practice for 20 minutes a day, twice daily. The practice is non-denominational and it is done while sitting comfortably with your eyes closed. In fact, more than six million people have learned the practice from all religions, cultures, and ages. A new study published in PLOS ONE suggests that transcendental meditation stimulates genes that produce the enzyme called telomerase. Telomeres are strands of DNA that protect genetic data at the ends of chromosomes. Some people compare them to the plastic tips on shoelaces. When telomeres get shorter, a person will age more rapidly, and the risk of cancer is increased. Telomerase is known to stimulate telomere production. The enzyme is also linked with reduced risk of cardiovascular disease, high blood pressure, and mortality. A 2004 review published in the journal Circulation Research reported on the evidence of how telomere dysfunction plays a role in hypertension, heart failure, and atherosclerosis. In this study, researchers have found that transcendental meditation in particular can decrease the rates of high blood pressure, stroke, heart attack, and even death. Normal blood pressure will have a systolic reading of 120 to 129 millimeters of mercury (mm Hg) and a diastolic reading of 80 to 85 mm Hg. Anything above those readings is at risk for hypertension, which is a major precursor to cardiovascular disease (CVD). Hypertension is also thought to be more common in African Americans than Caucasians. It also may contribute to the higher CVD-associated death rate in African Americans. For the pilot trial, researchers studied 48 African-American men and women with hypertension at Howard University Medical Center in Washington, D.C.
Half of the participants were assigned to learn the transcendental mediation technique and a basic health education course. The other group was assigned to focus on major lifestyle changes like weight loss, salt intake reduction, alcohol moderation, and regular physical activity. After a 16-week period, both groups showed impressive reductions in blood pressure and increases in telomerase gene expression. Also, there were no major differences between each group. The results suggest that transcendental meditation is an encouraging preventive method in cardiovascular health. Although the study findings are valuable, the study authors noted some limitations. For starters, there was no inactive control group. Future studies may include a placebo control or inactive group to help compare active participants with those that perform an activity not known to benefit blood pressure or heart health. Also, there needs to be a larger study to help confirm the results from the pilot. Transcendental meditation has also been found to reduce insomnia, depression and anxiety, pain, brain aging, and levels of the stress hormone cortisol. It will also keep a person calm and improve memory and brain function. Duraimani, S., et al., “Effects of Lifestyle Modification on Telomerase Gene Expression in Hypertensive Patients: A Pilot Trial of Stress Reduction and Health Education Programs in African Americans,” PLOS ONE, 2015; doi: 10.1371/journal.pone.0142689. 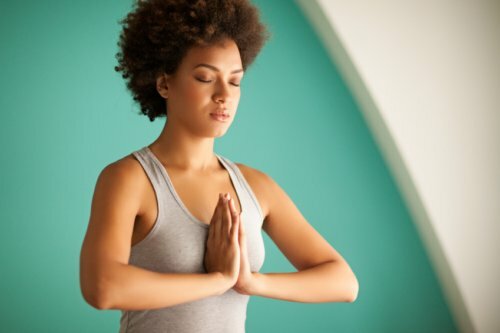 Ellis, M., “Can meditating reduce blood pressure?” Medical News Today web site, December 4, 2015; http://www.medicalnewstoday.com/articles/303545.php. “Transcendental Meditation and lifestyle modification increase telomerase, new study finds,” EurekAlert web site, December 2, 2015; http://www.eurekalert.org/pub_releases/2015-12/muom-tma120215.php. Serrano, A.L., et al., “Telomeres and Cardiovascular Disease: Does Size Matter?” Circulation Research, 2004; 94: 575-584, doi: 10.1161/01.RES.0000122141.18795.9C. “The Transcendental Meditation technique,” Transcendental Meditation web site; http://www.tm.org/meditation-techniques, last accessed December 4, 2015.